Lara Croft may have ditched her exclusive relationship with Xbox, but Microsoft still got to debut an impressive new look at Shadow of the Tomb Raider at their Xbox E3 2018 Briefing. The trailer a bit more upbeat than the gritty cinematic debut trailer we got earlier this year, featuring more action, adventure, colorful locales, and lots of water. Being able to swim underwater is one of SotTR’s key features, so we see Lara being washed away in a raging river, exploring a sunken vehicle, fighting enemies in a swamp, and other damp activities. Check it out, below. Become One With the Jungle: Outgunned and outnumbered, Lara must use the jungle to her advantage. Strike suddenly and disappear like a jaguar, use mud as camouflage, and instill fear in enemies. 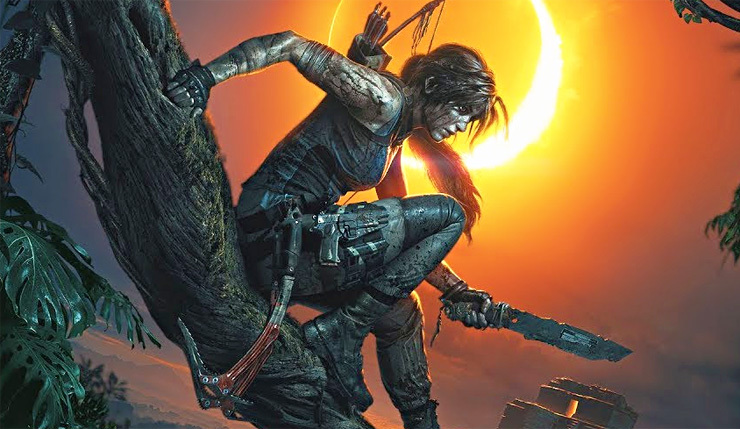 Shadow of the Tomb Raider swings onto PC, Xbox One, and PS4 on September 14.